CHOOSE YOUR LANGUAGE AMONG 4 !!!! And now you could also speak ITALIAN !!! The group will be led by SANDRA. The concept remains the same and remains simple. 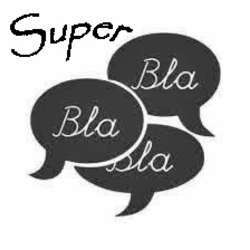 However for this SUPER BLA BLA "4", four languages will be spoken in turn : FRENCH and (ENGLISH or SPANISH or ITALIAN) !!! You could speak any language during short periods of 15/20 minutes, in small groups or face to face. That will be discussed according to the number of attendees and their native language. All others drinks, cocktails and beverages will be available at the normal price.